David Beckham was pictured at Brentwood, California on 15 July 2014. 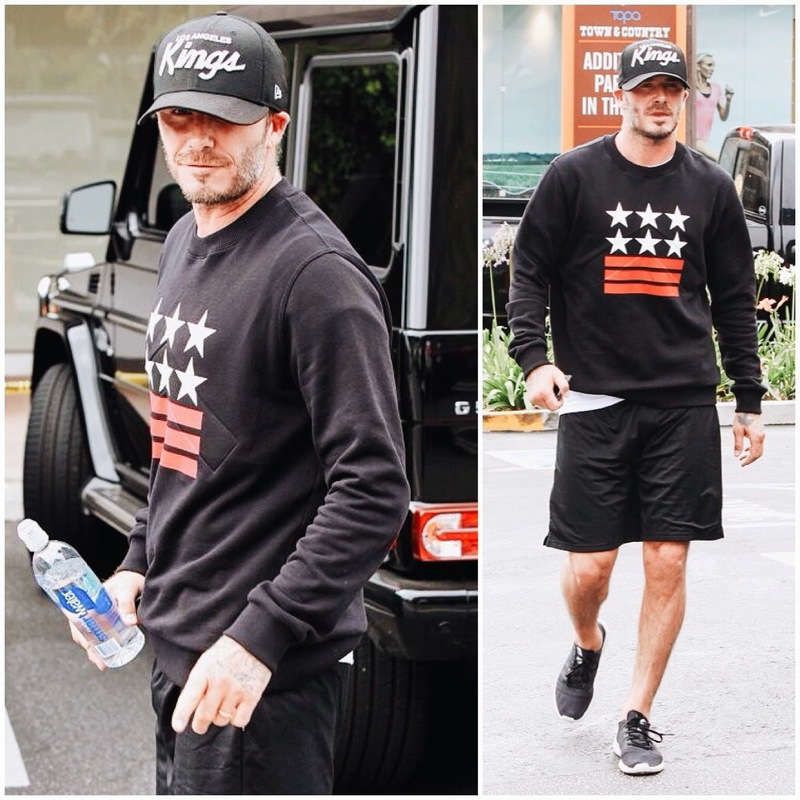 Back from Brazil where he watched the World Cup, David Beckham headed to the gym in a Givenchy stars and stripes sweatshirt from Givenchy Pre-Fall 2013. I keep my Givenchy sweatshirts for special occasions, but looking at the above picture I ask myself, why should that be the case? David Beckham just gets better and better with age. His style usually feels effortless yet so well put together. #Givenchic. British illusionist / magician Dynamo wore the same sweatshirt back in 2013. Who wore it better? 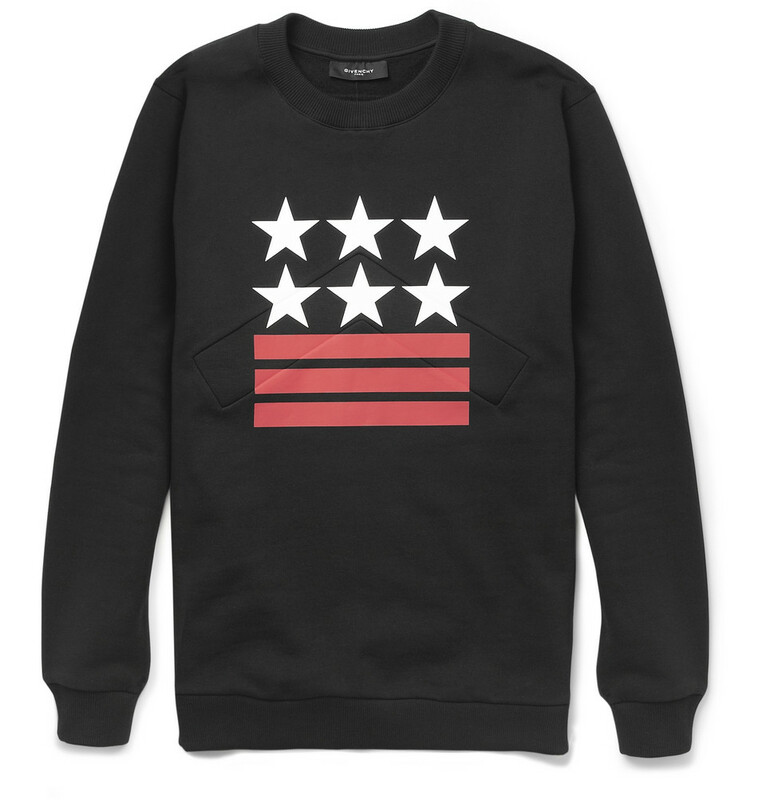 Givenchy stars and stripes sweatshirt.